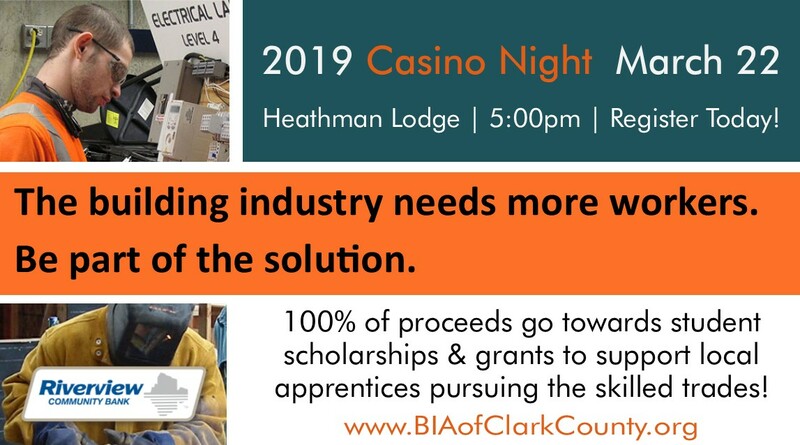 The Building Futures Foundation invites you to enjoy a lively evening of Vegas-style gaming including blackjack, craps, roulette and Texas hold ‘em. 100% of the proceeds from this event go towards student scholarships and grants to support local apprentices pursuing a skilled trade. Dinner buffet and start-up scrip included to get you rolling! Silent auction and raffle prizes featured, as well. 5:00 pm Britnee Kellogg performs / 5:30 pm buffet opens / 6:00 pm gaming begins!